Shortly after Facebook's stock goes public, CEO Mark Zuckerberg will change his salary to reflect his new found wealth. The 27-year-old founder of the social-networking company is set to earn upwards of $28 billion when his company goes public later this year. Wednesday Facebook filed an S-1 form with the Securities and Exchange Commission making its intention to offer an IPO public. In the filing Facebook revealed that Zuckerberg made a $500,000 salary in 2011 and that this year his compensation will jump to $600,000. 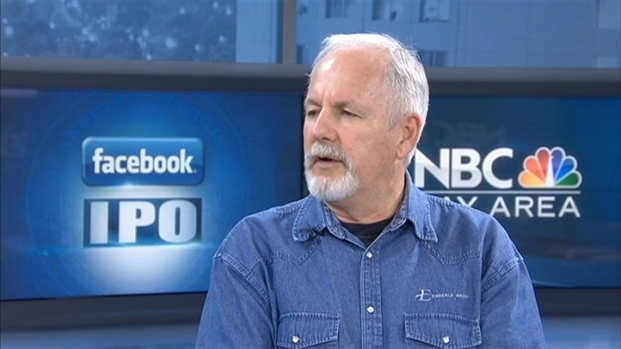 NBC Bay Area's Brent Cannon sits down with Tech Analyst Rob Enderle to discuss Facebook's new IPO. He talks about what that means for the bay area and compares it to other silicon valley giants. But starting Jan. 1, 2013, Zuckerberg will follow the path of Steve Jobs and Larry Page and reduce his salary to $1 a year. "In the first quarter of 2012, our compensation committee discussed and approved a request by our CEO to reduce his base salary to $1 per year, effective Jan. 1, 2013," the document says. Zuckerberg will more than be able to afford the salary reduction. The majority of his wealth is wrapped up in the 28 percent of Facebook that he owns. The Facebook IPO will give employees a lot of buying power and the competition for homes in Menlo Park, could drive prices higher. The young CEO has also pledged to give away his wealth.